Three months ago now I requested both this book and The Days of Abandonment by Elena Ferrante for Novellas is November. There is no sign of Days of Abandonment (but I have since learned from Laura that it’s still worth pursuing), and The Lost Daughter just showed up a week ago. I had a similar story for White Hunger, which ended up coming from Ottawa. The Lost Daughter came from Memorial University of Newfoundland (another first for me). This is one of the reasons libraries are so much fun. Both White Hunger and The Lost Daughter were worth the wait. I still have one more to come from that same request binge back in October; The Collapse of Western Civilization. Any guesses on when it will show up? I have been having a hard time figuring out how to write about The Lost Daughter without giving too much away. It’s a story about a middle-aged woman looking back on her life as a mother; trying to come to terms with the mistakes she made and the reasons she made them. Leda didn’t want to be like her own mother, swore she wouldn’t be, but ended up struggling against it. Being a mother wasn’t what she had imagined it would be – it was a lot harder, and a lot more tiring. She fought against her desire to be her own person again, to finish her studies and start her career. Most women/mothers feel the same way, and we all look for ways to find that balance. Some women get a nanny and a job, some get a sitter and go to the gym, some start drinking too much, some have affairs, some read a lot of books and then blog about it. But some women fantasize about leaving their children altogether. Leda has done this, and more. And now, years later, her grown daughters are in Canada with their father and she is on vacation. Instead of getting a lot of work done at the beach, she starts watching a young mother with her daughter, which causes her to think about her own years as a young mother. She becomes a little obsessed with this family and gets more involved than she should. (She ends up doing something a little surprising/interesting that I wanted to talk about here but decided not to give it away.) It all leads to her confession to them about being an ‘unnatural’ mother. After this confession, the family immediately backs away as though she had three heads. I observed my daughters when they weren’t paying attention, I felt for them a complicated alternation of sympathy and antipathy. Their troubles, their griefs, their conflicts returned to impose themselves, continuously, and I was bitter, I felt a sense of guilt. I was always, in some way, the origins of their sufferings, and the outlet. I felt for the first time, like a fist in my chest, that I needed something else, but I felt uneasy saying it to myself, it seemed to me that such thoughts were not appropriate for my situation, for the ambitions of a reasonable and educated woman. All her memories cause her both shame and remorse, yet her need to get away seemed inevitable, an unavoidable path. How accepting are we, as a society, of women who are not naturally maternal? We have no problem accepting that many men are not ‘natural’ fathers, but when it comes to women we think there might be something inherently wrong with them. Sometimes you have to escape in order not to die. Love requires energy, I had none left. Some would say that this might also be a book about mental illness/postpartum depression; a case of a mother who needed help but didn’t receive any, which caused her to act in an ‘unnatural’ way. But, why should we assume that all women who profoundly struggle with being a mother are suffering from an illness? Then again, maybe she was. Was she selfish? Was she ill? Was she a monster? A lot to think about for a short book. The children stared at me. I felt their gazes longing to tame me, but more brilliant was the brightness of the life outside them, new colours, new bodies, new intelligence, a language to possess finally as if it were my true language, and nothing, nothing that seemed to me reconcilable with that domestic space from which they stared at me in expectation. Ah, to make them invisible, to no longer hear the demands of their flesh as commands more pressing, more powerful than those which came from mine. I want to read more Elena Ferrante! I’m finishing the fourth in her Neopolitan series now. This sounds really interesting (creepy cover image at the top!). Do you think you’ll read more by Ferrante? I’m still waiting for my hold on the first Neapolitan book to come in. Do you pay for ILLs? I’m hoping to read more by Ferrante, for sure! Eventually… Our library only has the first book in her series. I’ve been waiting for all of them before getting started, but I don’t know what’s taking so long. The doll on the cover is kind of creepy, but the doll plays a big part in the book. I wanted to talk about it so badly, but it would have been impossible without spoilers. If you end up reading this one, let me know so we can talk about the doll! I haven’t ready any Ferrante, but those questions sound really intriguing. I still don’t really know the answers to them myself. This is a good book for discussion, for sure. I REALLY need to get to some Ferrante one of these days…. If her others are like this one (or better), then I don’t think you’ll be sorry. Wow, Naomi, this is great – just what I think a good book blog post should be – no spoilers, but you capture the central “thing” about the book. Having read the Neapolitan series, I now want very much to read these other books after reading your post, though I know they will be uncomfortable reads. I think Ferrante writes about an issue central to many women. Some are natural born mothers and slip into motherhood easily, others struggle. I do feel that in some respects the mother in the story you talk about (not having read it) does have some mental illness, I suppose – depression, whatever – but to reduce it to postpartum depression or another diagnosis isn’t useful, at least to me. (i am happy about our increasing enlightenment about mental illness but at the same time feel we assign mental illness labels too swiftly, that some difficulties people have are because of society’s skewed values/expectations, or a mentally ill society, if you will.) So I think part of the difficulty women have with motherhood can be because of society’s expectations. Having raised two sons, I struggled with this. We now tend to be obsessive, over-attentive, perfectionist parents (mothers) in my opinion, and I always felt I was falling short. Looking back, I would have relaxed more and not given the stuff about parenting and motherhood I read in the media so much credence. So true, Valerie, about societal expectations. There is a lot of pressure out there to be the ‘perfect’ parent, and it’s almost impossible not to always be comparing ourselves to others, or to be wondering all the time if we are doing the right thing. And thinking about all the things we ‘should’ be doing because the experts tell us we should in order to raise our children ‘right’. No wonder there is so much discontent. I would love to hear your thoughts on this book! And thanks for the thoughtful comment and kind words! I would echo Bellezza’s comments. The Days of Abandonment is well worth the wait. It’s a visceral novel, quite catastrophic at times, but written with just the right amount of control. I loved the Neapolitan novels as well, both for their vivid portrayal of Naples and for their remarkable focus on female friendship. 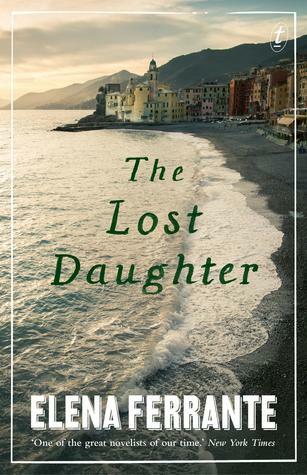 The Lost Daughter sounds closer to ‘Abandonment’ than the Neapolitan tetralogy. I have another Ferrante (Troubling Love) in my TBR, but your review has piqued my interest in this one! Ferrante Fever! Also “some read a lot of books and then blog about it”—ha! Your review reminds me of one of the plotlines in Michael Cunningham’s tribute to Mrs. Dalloway, The Hours. The movie version of The Hours is very good. Was not thrilled with the Mrs. Dalloway movie, even though I love Vanessa Redgrave. Ferrante Fever is the best thing that could happen to us all 😀 Love her books! On Goodreads I saw someone discuss The Lowland by Jhumpa Lahiri as an example of the ‘bad mother’ novel. Good to know. I haven’t read that one yet. I have that but I haven’t read it yet–did you like it? I’ve never read anything by Jhumpa Lahiri. This Goodreads friend was actually discussing it as a poor example of the bad mother genre…oops! I’m looking forward to getting onto this. I have read the first in the series and wonder whether it will be like A S Byatt’s Babel Tower trilogy, getting more complex as the main characters grow older. I haven’t gotten to the series yet, but I do eventually hope to. The Lost Daughter is a stand-alone. Worth checking out if you’re enjoying her other books. I haven’t reviewed Ferrante’s novellas but have read them recently. I still prefer the sprawling epic stories in the Neapolitan novels but the intensity of her early works is very memorable. . Intensity is a good word for it. Short, but intense. I like that a lot, but will eventually get to find out how it compares to her longer stories. 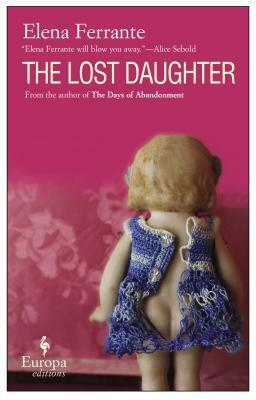 I didn’t love Days of Abandonment and I wonder if The Lost Daughter is similar as a story. Although my enthusiasm to read the Neopolitan series has cooled down because of DOA, I probably will read it at some point. I’m so glad it appeals to you, Lynn. The good news with this one is that it won’t take you long to read. It’s short and you won’t want to put it down. And, it’s not too creepy – just one kind of weird/surprising thing happens. If you do end up reading it, we will have to discuss that part! I taught a whole class on this topic once, at a women’s college. People are definitely, definitely judgmental. Some people really are. It’s an interesting topic, that’s for sure! Terri shirt story collections I would highly recommend are In The House by Lynn K Kilpatrick and For Sale By Owner by Kelcey Parker. For novels, try Dangerous Husband by Jane Shapiro and Nine Months by Paula Bomer. You’re in the literary wives club, yes? These would all fit. It was very thought-provoking, and I would say it’s good for anyone. It makes you think about your own beliefs around this issue, and whether or not they are fair. I am putting this on my must-read list! You raise some very compelling points/questions, Naomi. I once worked with a mother who had her son before she was ready – she was young, her husband cheated on her repeatedly and finally left her. Her son was grown at this point and she was in her mid-40s, and we were chatting one day about motherhood (I was newly pregnant.) Reflecting on her life as a mother, she started crying and finally said, “I couldn’t put his needs before mine.” I wrestle with this guilt from time to time too and I wonder if there isn’t a mother who doesn’t because she feels she cannot live up to the impossible standards that our culture imposes on mothers. I can’t wait to read this book. Thanks so much for reviewing it. Btw, I love this –> “some read a lot of books and then blog about it” – hahaha! I’m so glad you like the review, and I really hope you get to read the book, so I can hear your thoughts about it. Let me know, even if you don’t blog about it! I guess I need to try Ferrante. I think you’re the second person I’ve told this week that my email subscription to your blog, which I’m sure I had, doesn’t seem to be working anymore, because I didn’t get a notification of this post. And I don’t see a way to subscribe except through WordPress, which I have a subscription to, but I often forget to look at. Huh. Do I not have a button for ‘Follow Blog Via Email’? Or is it just not working? I didn’t see one, which is what happened on the site of at least one other person I used to be following by email. I tried to sign up again because I wasn’t getting the posts, and couldn’t find the button. I wonder if my work is blocking some of my emails. I checked my site and saw the button, but I don’t trust looking for it myself -sometimes I worry that what I see is not the same as what others see. I hope you get it figured out! Very interesting, Naomi. Ferrante has been on my radar since the beginning of Ferrante Fever, but so far, I haven’t felt the urge to read her. I think I’ll start with this novella. There’s definitely a double standard when it comes to parenting and how a mother should be/act. (Case in point, the term “mommy wars.” No one cares about “daddy wars,” if there even is such a thing.) So off I go to check whether my library has this or not. Oh, I hope it does! I recall loving this one as I have anything I’ve read by this author. Even though it isn’t the definition of a page-turner, I had trouble putting it down. I’m glad to hear you liked it. Well looks like I will hoping on the Ferrante bandwagon probably this summer. Everything that I4ve heard about her 4 book series leads me to believe I’ll love each one. So many books, so little time…. I think I’m going to stop watching any series for a while because I just want to read on my free time. Not like I’m watching a lot, it’s just that whenever tv is watched it’s time wasted. Looks like my summer is going to be interesting in reading…. If you’re anything like me, once you get watching a series it’s hard to stop, so I try to avoid them altogether. Movies are a better option for me when I feel like watching something – they’re usually over and done with in 2 hours. I agree very much with what you said about how people find it difficult to accept that not all women are natural parents, even though they find it much easier to accept the same thing about men. I really like that this book might make people think about that double standard. I really hadn’t even thought about it very much before reading this book. I’d love to find another one that explores the same topic just to see what another writer might do with it! Okay so this is a novel before her “Neapolitan Novels” right? I haven’t read her yet but I have a copy of the first Neapolitan one just waiting for me. Have you read those as well? I think she did write this book first, and a couple of others. I haven’t read any of the Neapolitan novels yet, but I hear they’re wonderful. Happy Reading!